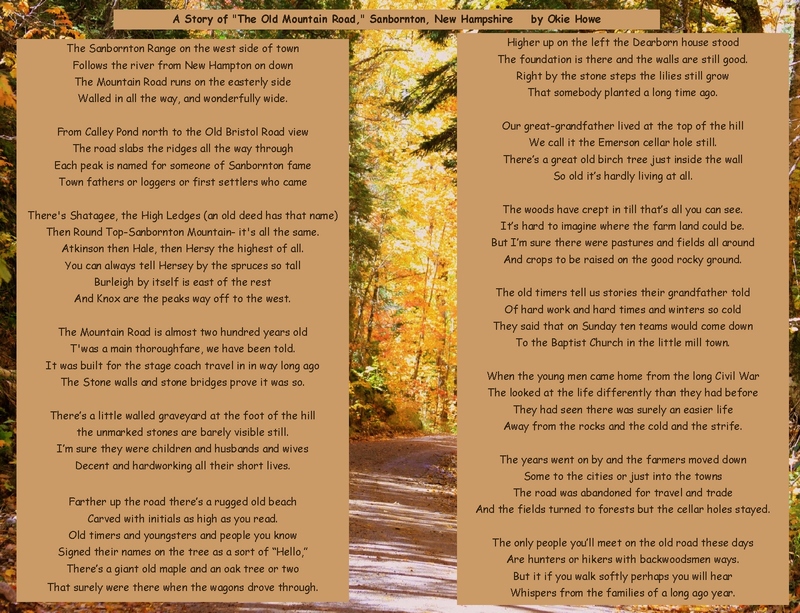 A photo taken a few days ago…the Mountain Road, Sanbornton, New Hampshire…where my great grandfather lived many, many long years ago…. near my grandparents’ home, where we went each Thanksgiving Day when I was a child. And the song we sang happily as we drove along…. 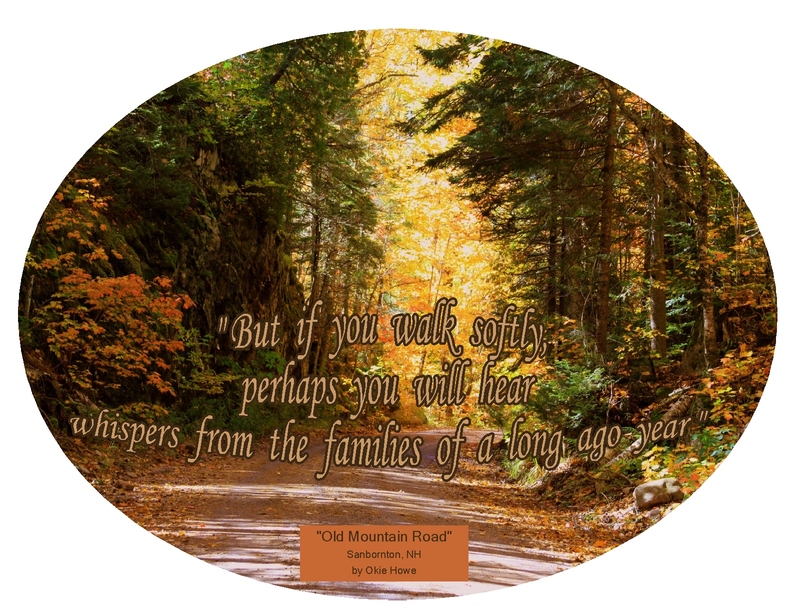 Off to our own Thanksgiving…. 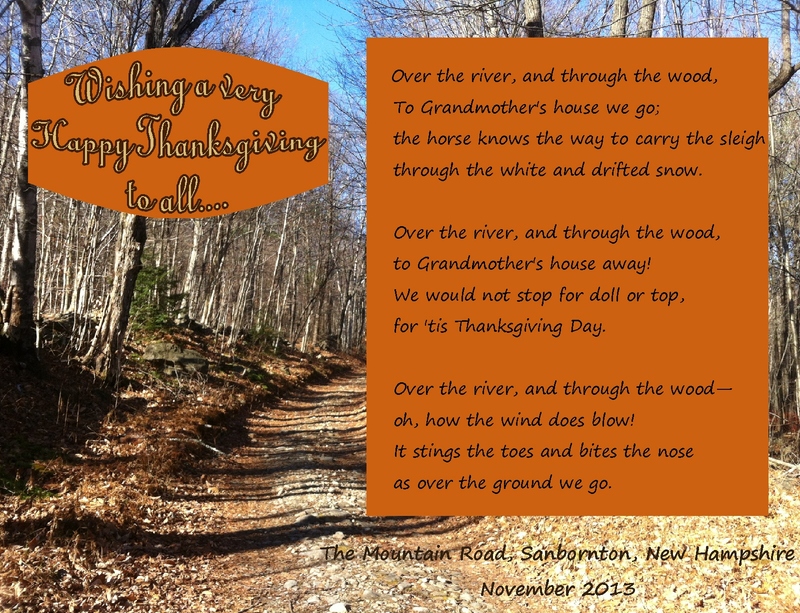 This entry was posted in Life and tagged Appreciation, Goodness, Gratitude, Happiness, Inspiration, Life, New Hampshire, Thanksgiving. Bookmark the permalink. Happy thanksgiving to you. Being from Africa I have always found this celebration you all partake in such a wonderful thing to do. I wish we had something like that in our own country. Enjoy and celebrate. We had a very rare fall of snow just 45″ to the north of us. No snow here, but still it’s cold. I don’t ever remember snow that close so early. Rick brought in a truckload of firewood to enjoy this long weekend! Happy Thanksgiving to you and yours. 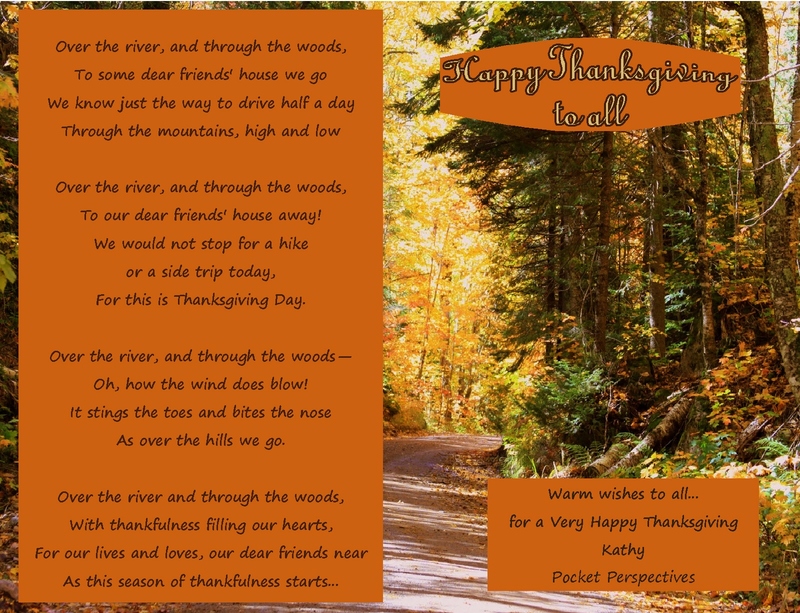 Happy Thanksgiving to you and yours and here’s to many more lovely warm memories to hold close to your heart. I hummed the song in my mind. It gave me feelings of warmth 😀 Happy Thanksgiving to you and your loved ones.